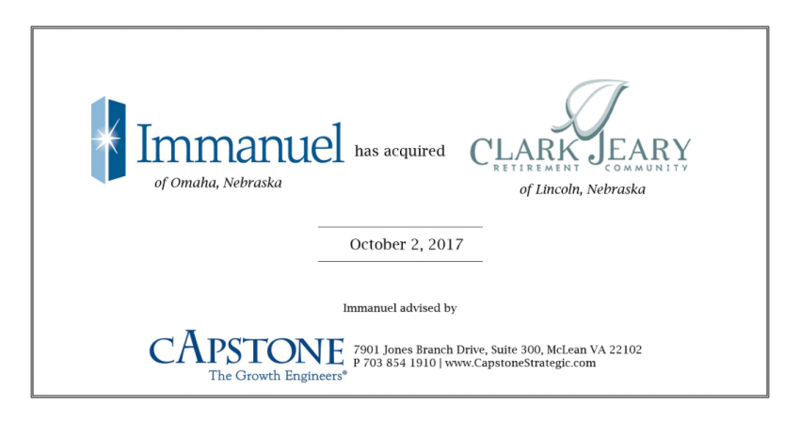 Capstone Strategic announced today that Immanuel, a leader in the field of retirement living in Nebraska has acquired senior living community Clark Jeary. The deal expands Immanuel’s geographic footprint in Lincoln and adds to its mission of serving seniors. 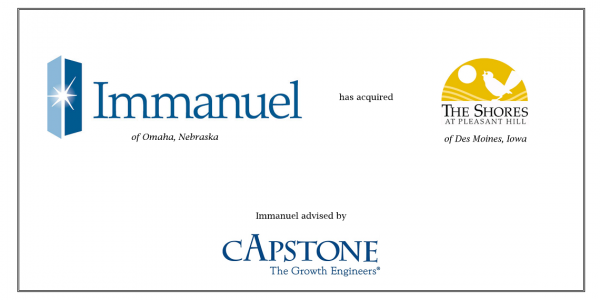 Capstone Strategic, Inc. (Capstone) announced today that Immanuel has acquired Clark Jeary, a 122-apartment senior living community in Lincoln, Nebraska. 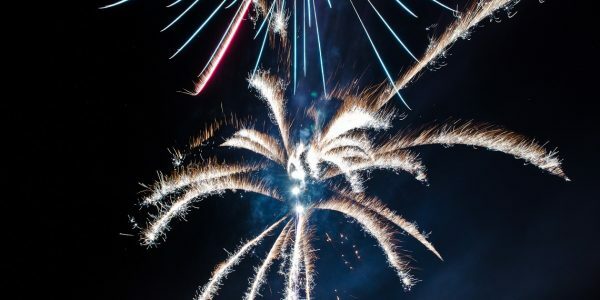 With this acquisition, Immanuel executes its strategy to grow by expanding its geographic footprint in the Lincoln metro area. Capstone advised Immanuel on the completion of this strategic, not-for-sale acquisition. Founded in 1887 and headquartered in Omaha, Nebraska, Immanuel provides Christ-Centered Service to Seniors, Each Other and the Community. A leader in retirement housing services, Immanuel communities are equipped with experienced, professional staff who provide compassionate care to residents. With the acquisition of Clark Jeary, Immanuel will have 11 communities throughout the Omaha and Lincoln metropolitan areas that offer independent living, assisted living, memory support and long-term care. Serving as a third-party M&A advisor, Capstone guided Immanuel in developing their vision for growth through strategic acquisitions, identified and managed an extensive pipeline of acquisition prospects, and facilitated meetings between owners and Immanuel. Capstone also provided due diligence and valuation support to shepherd the deal to a close. “The acquisition of Clark Jeary supports the strategic vision set by our board of directors to continue to fulfill our mission. Bringing the Clark Jeary community into Immanuel ensures that we are serving a greater segment of the community at large. 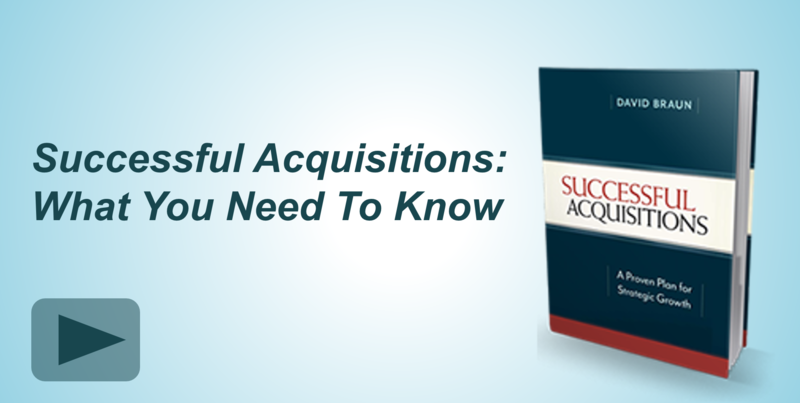 Capstone’s guidance throughout the M&A process proved critical in ensuring the successful close of this transaction,” said Eric Gurley, CEO of Immanuel. “We are pleased to have advised Immanuel on proactive growth through strategic mergers and acquisitions. With the acquisition of Clark Jeary, Immanuel will further its commitment to providing superior senior living options in southeast Nebraska and continue to grow,” said David Braun, CEO of Capstone. 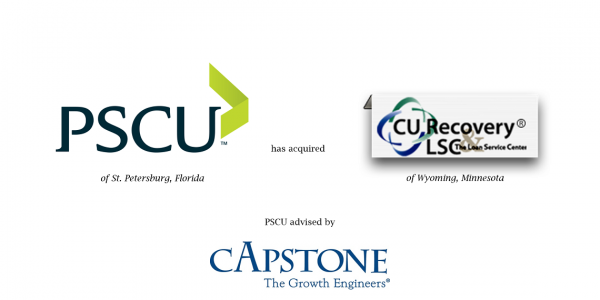 Capstone Strategic, Inc. is a management consulting firm located outside of Washington DC specializing in corporate growth strategies, primarily mergers and acquisitions for the middle market. Founded in 1995 by CEO David Braun, Capstone has facilitated over $1 billion of successful transactions in a wide variety of manufacturing and service industries. Capstone utilizes a proprietary process, “The Roadmap to Acquisitions,” to provide tailored services to clients in a broad range of domestic and international markets. Visit the Capstone website at http://www.CapstoneStrategic.com. Since 1887 Immanuel has been providing Christ-Centered Service to Seniors, Each Other and the Communities in which the organization serves. As a not-for-profit, serving arm of the ELCA (Evangelical Lutheran Church in America) Immanuel’s house of brands includes: Immanuel Communities, Immanuel Pathways, Immanuel Community Foundation and The Immanuel Vision Foundation. More about Immanuel’s brands: Immanuel Communities owns and operates 10 independent living, assisted living and long-term care retirement communities on six campuses; Immanuel Pathways operates three PACE® Centers in Iowa and Neb. ; the Immanuel Community Foundation, a Resident Assistance Fund provides financial assistance to independent living residents; and the Immanuel Vision Foundation extends financial support to non-profit, charitable 501(c)(3) organizations that share purposes in alignment with Immanuel’s service centered mission.